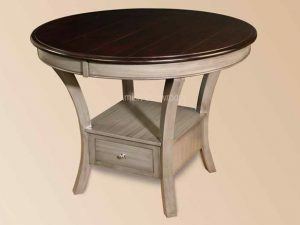 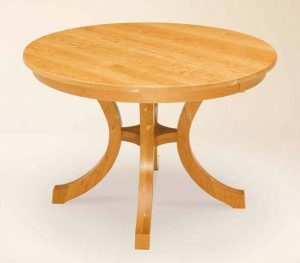 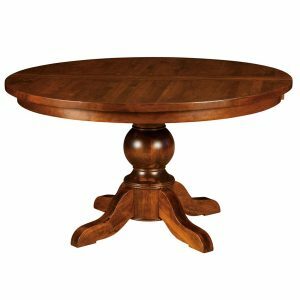 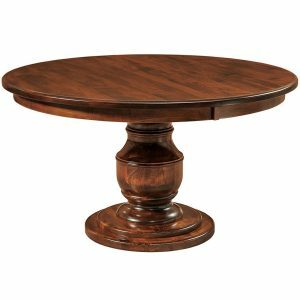 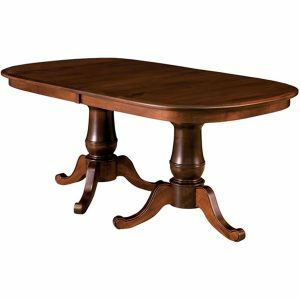 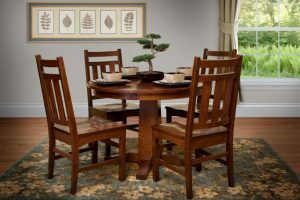 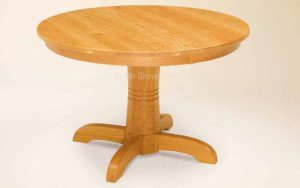 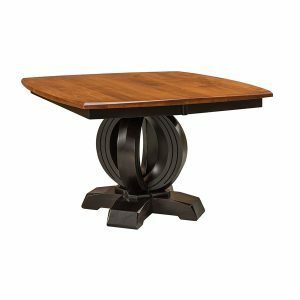 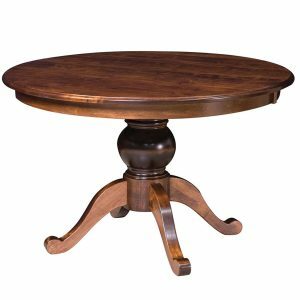 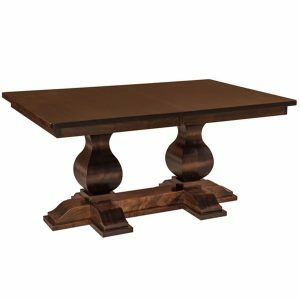 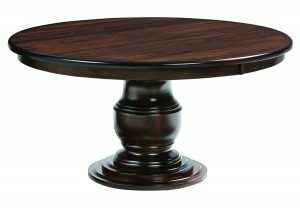 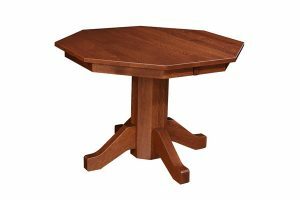 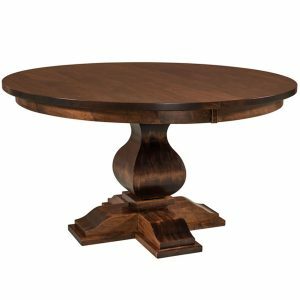 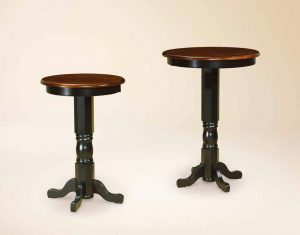 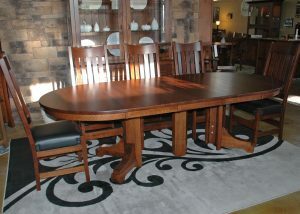 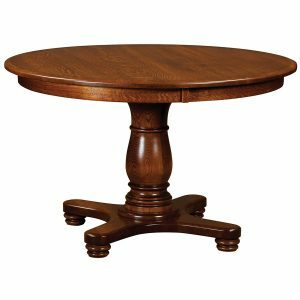 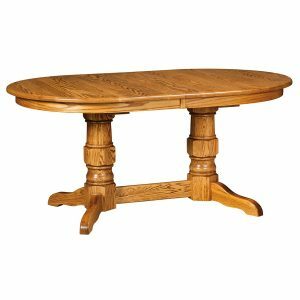 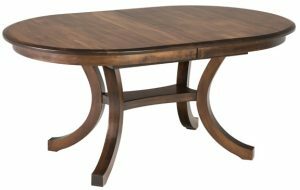 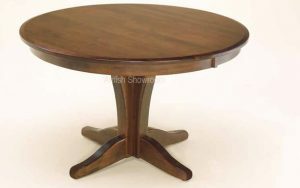 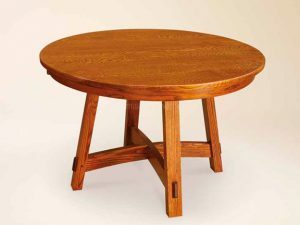 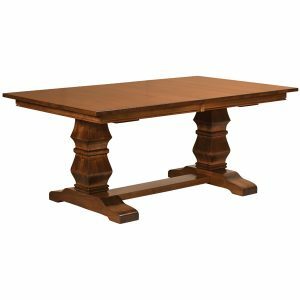 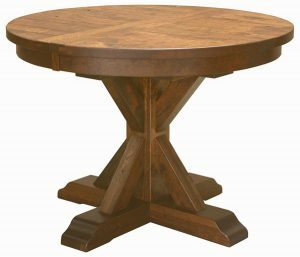 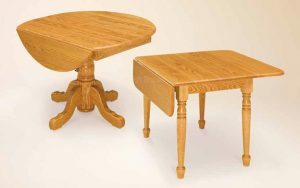 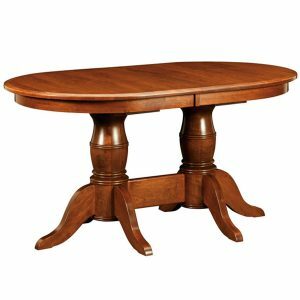 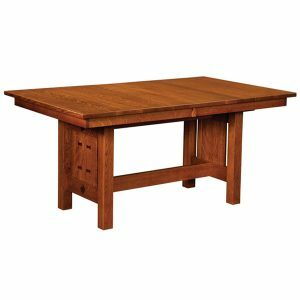 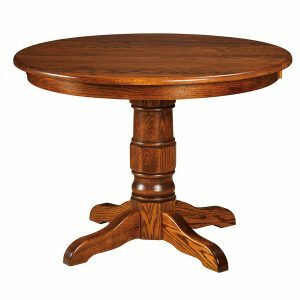 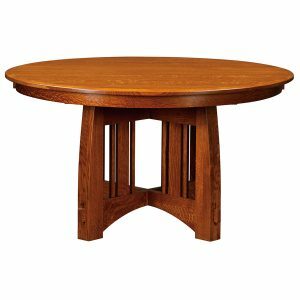 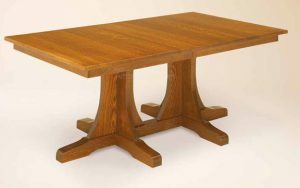 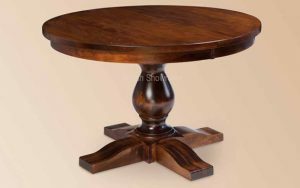 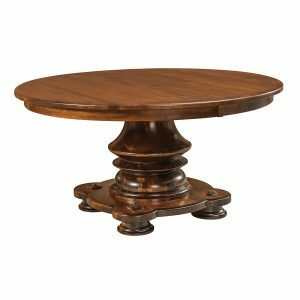 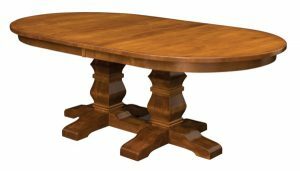 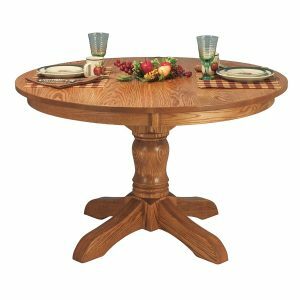 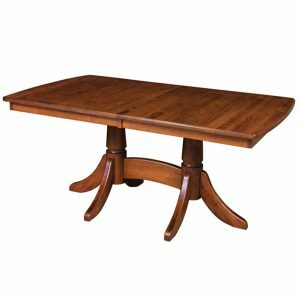 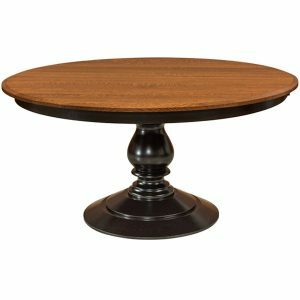 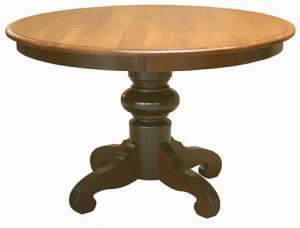 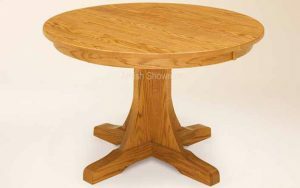 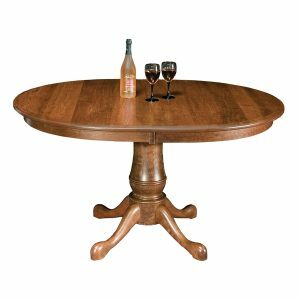 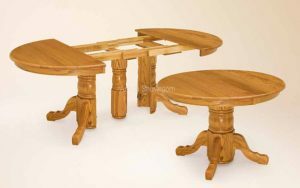 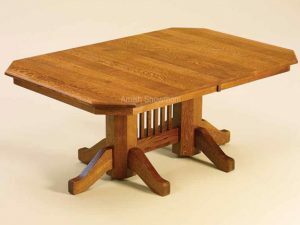 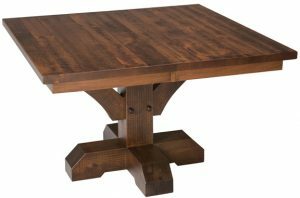 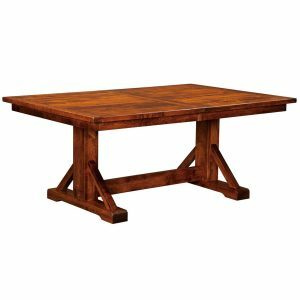 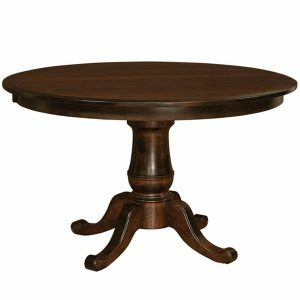 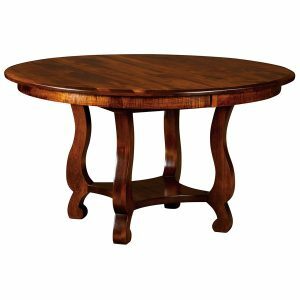 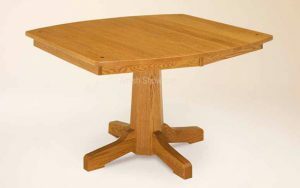 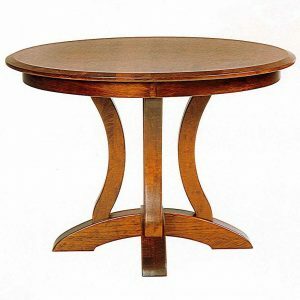 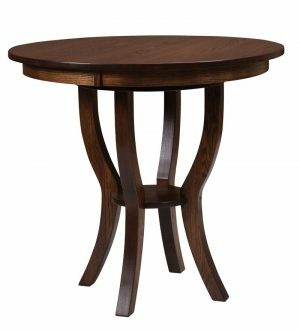 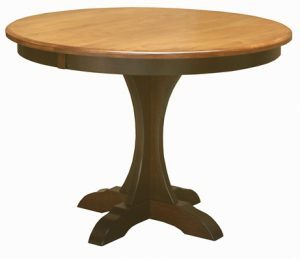 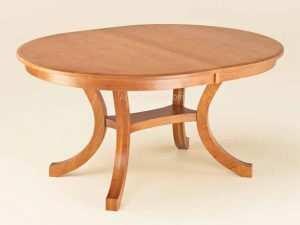 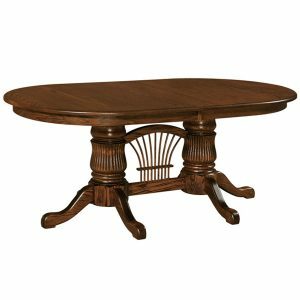 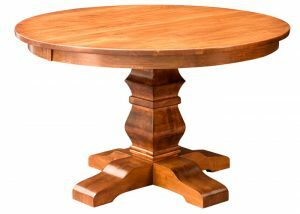 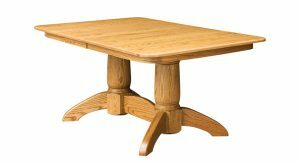 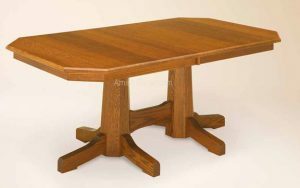 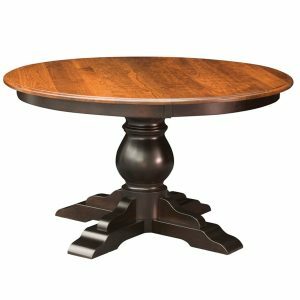 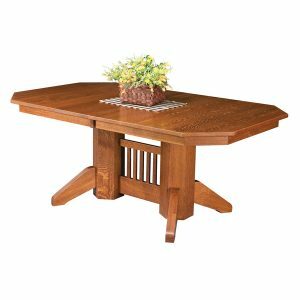 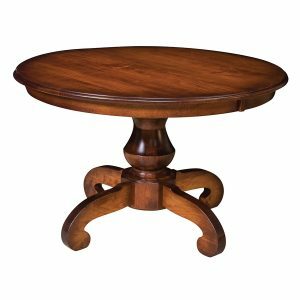 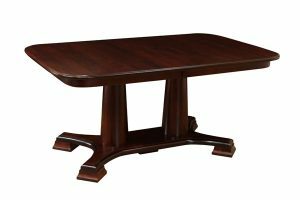 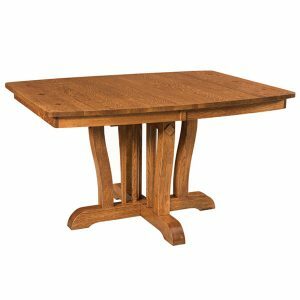 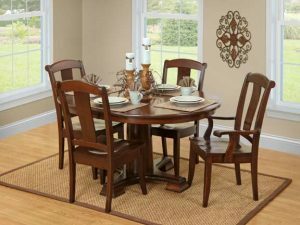 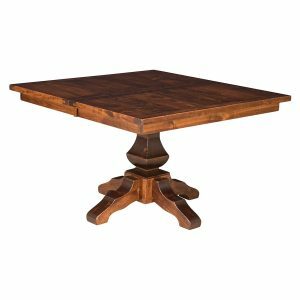 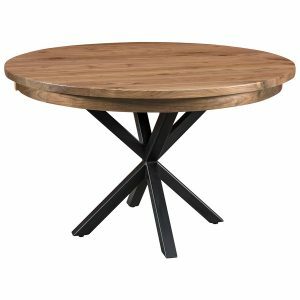 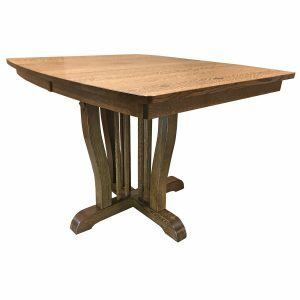 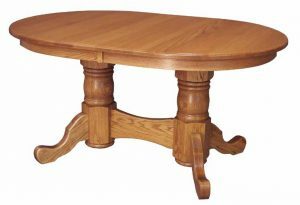 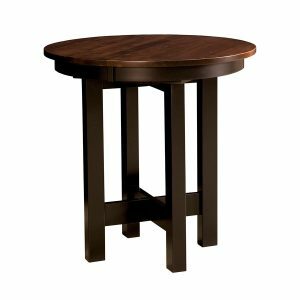 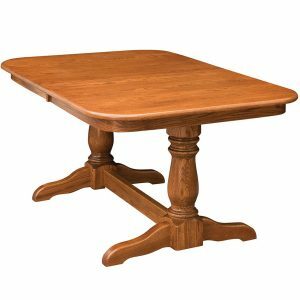 American-made solid wood pedestal tables are built by Amish craftsmen. 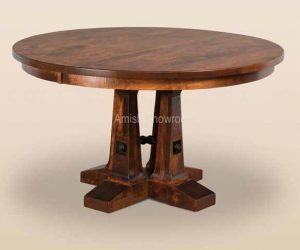 A single pedestal dining table has one large base which accommodates the weight of the table. 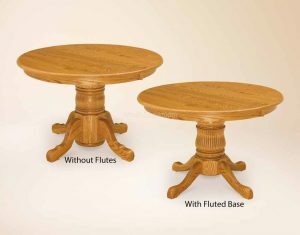 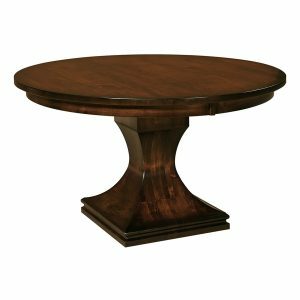 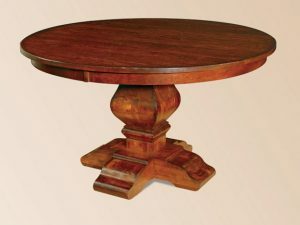 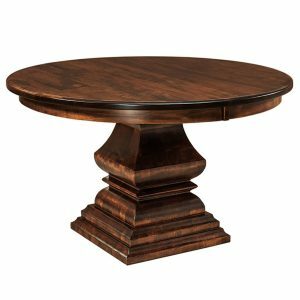 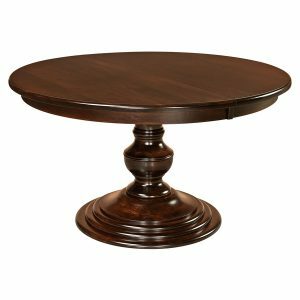 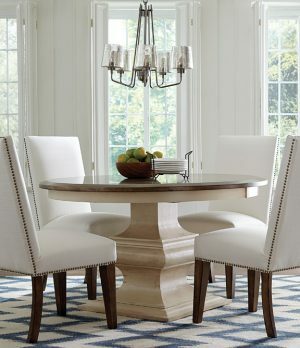 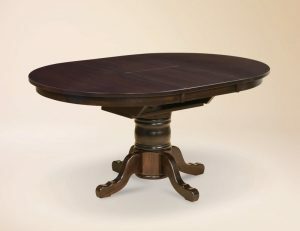 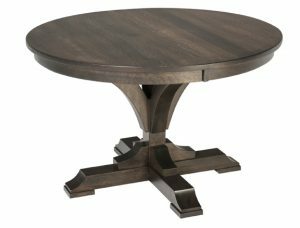 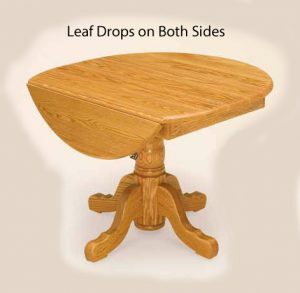 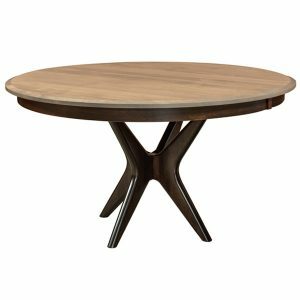 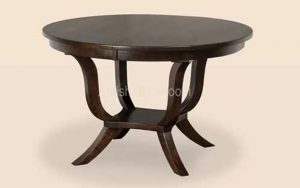 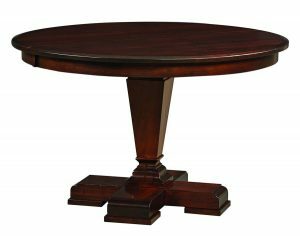 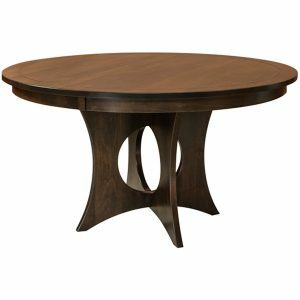 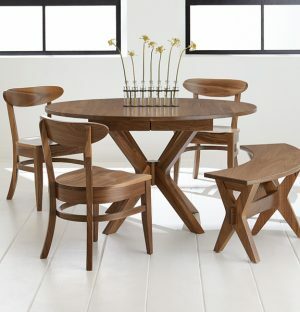 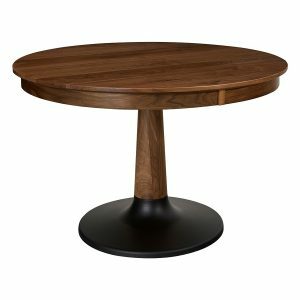 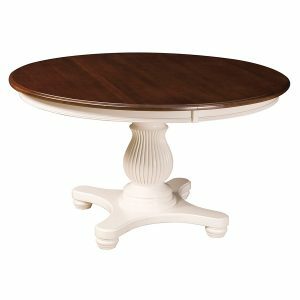 Many single pedestal table designs have the ability to add leaves for extra room. 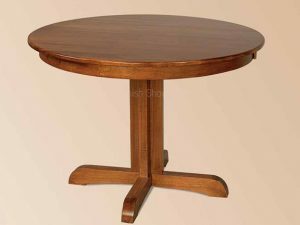 We offer narrow single pedestal tables, 42 inch wide pedestal tables, 48 inch round pedestal tables and 54 inch round pedestal tables. 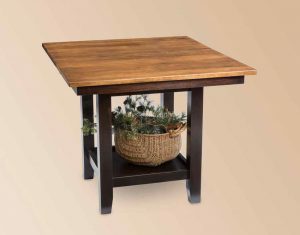 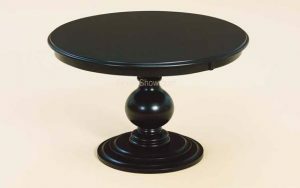 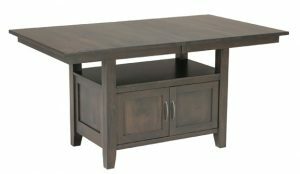 The tabletop can be removed from the pedestal base in order to move it into your home is attached by heavy duty lag bolts. 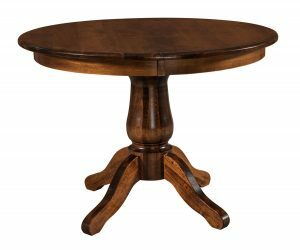 A 42 inch round single pedestal table will seat four people, but if you want to seat six people we recommend adding two of the 12 inch leaves.